North Las Vegas Property Management caters to your property management needs and provides unbeatable customer service you can trust. Need effective advertising to find tenants? We do that. Seeking in-depth tenant screening that verifies criminal, credit checks, employment and rental verification? We do that. Need help with legal action like evictions or serving late rent notices to tenants? We do that too. Plus all owner accounting reports and tenant rent pay options are available online all day every day. At North Las Vegas Property Management, we really do do it all! North Las Vegas is located in scenic Las Vegas Valley near the city of Las Vegas and was incorporated in 1946. It is the fourth largest city in the state of Nevada with its population larger than any city in the neighboring state of Utah! The famous Las Vegas Motor Speedway is located nearby and the locals can take their pick of fun and sun. 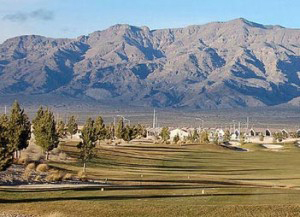 North Las Vegas is ideally located, with recreational activities such as fishing, skiing, hiking, biking, camping and sightseeing available year-round as well as a selection of several hotels and casinos that call North Las Vegas home. It’s easy to find suitable North Las Vegas property management and there are plenty of homes for rent and sale; perfect for starting an adventurous life in the sunny city.